Flaunt Your Appearance In Smartphone User’s Pockets! It is crystal clear that the demand for App Development Services has been escalated in all the businesses aspects with the uprising trend of smart mobile apps. Every day it has been witnessed that new devices are launching into the market compelling some extraordinary features and left behind the previous version. All thanks to the advancement of mobile technology which has made our lives luxurious one and smarter one also. Advancement in mobile technology has made it possible to the enterprises for moving beyond the desktop to meet their customer and employee needs while bringing the attention of smartphoneholic users to their business also. According to a recent study, it has been observed that 65% of Google search arrives from smartphones. The percentage of Google search engine from the phone is so impressive that compelled the every business owner to make the efficient advantage of this fact towards their business goals which led them to innovative the services of mobile app development. To cope up with such business requirement, our developers have become your accelerator to design and develop the brilliant mobile application for iPhone, iPad and Android potential enough to influence the decision of your prospects. In today’s highly tech-oriented world, app development emerges out as a process of building or creating customized mobile applications which enable to run on numerous platform normally iOS and Android. Such development of the app is performed by an expert developer to create browser-based applications to load quickly over a cellular network and have finger-friendly navigation. In this context, if you are running any kind of business, it is a good idea to build a fully functional mobile app to engage smartphone users attention. Being standing at the leading position we are authenticated to provide the best reliable solutions in turning your business ideas into the excellent user interface which makes your app reach the consumers. 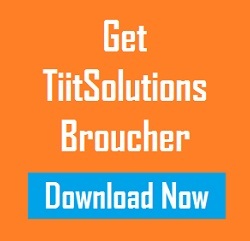 It includes user-friendly consumer apps, B2B apps, enterprise apps, and all apps for your need. • iPhone App Development: With the advent of iPhone technological advancements, our developers intend to build an impressive and user engaging application that will not only strive to enhance your brand popularity but also drive the appealing features to hit the iPhone users attention. 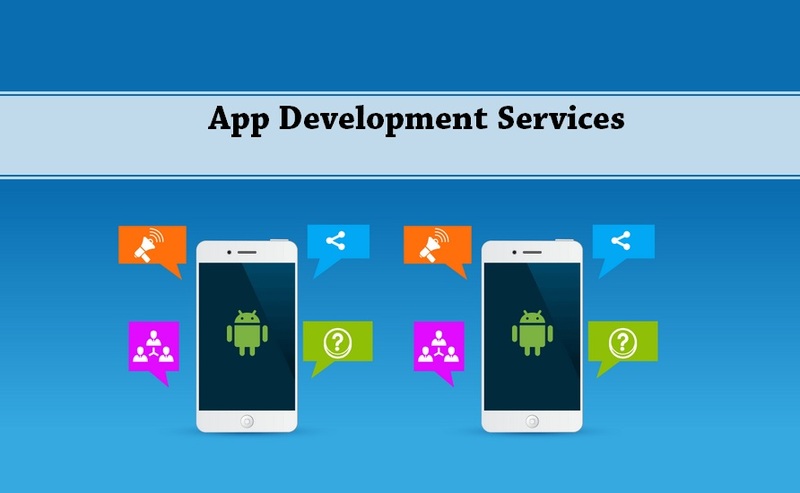 • Android App Development: Our Android app developers are experts in Java, Eclipse IDE, and XML technologies to develop Android mobile app solutions for Android devices. • Windows App Development: Our custom Windows App Development Services are supported by deep industry expertise in creating highly performing, digitally transformative and feature-packed native windows applications. We explore the reliability and myriad features of windows for the benefit of the users. • Custom Mobile App Development: We render high-end customizing mobile application so that it can feature every aspect of the business and help the business runners to establish the brand image. When it comes to Application Development Services, we are one of the pioneer’s app developer destination in India assisting the client’s application portfolio through customized solutions. We have been doing it since the evolution of Palm, Brew, Symbian, J2ME and Windows Mobiles. No matter what your mobile development needs are, we’ve got you covered for your every impossible requirement. We empower our clients brand image by leveraging our proven app development techniques and our years of best practices to develop robust applications that are scalable, secure and easily maintainable to fit best the client’s needs. Today people take their mobile always ready to hand whenever they want to check any information on the internet. There are a plethora of incredible apps are available for everything like shopping, booking the tickets, gaming, bill payment and money transfer which has made our lives much easier and comfortable where we could do anything sitting at the couch f sofa. If you don’t want to miss out opportunity in your business, your business needs to be reflected in a portable app to get boost up on the hands of smartphones users. Mobile applications are no longer considered a luxury, it has become essentiality. ☞ Increase Customer Engagement: Humans get used to keeping their devices either on hands or pockets and through a solid mobile presence, your business will be exposed to numerous eyeballs. Your image, name, and logo will be seen when these masses scroll which greatly influence them to buy your product. ☞ Boost Profit: When customer engagement increases, the retention of potential prospects always rise with an upgrading trend. The more you will be a popup to users eyes and pleased them, the greater consumer demand will grow and ultimately boost your profit while enhancing the customer’s experience. ☞ Build Brand Recognition: Whether your business is a newbie or already a brand, you can enhance its recognition by developing a highly interactive mobile app complementing with users likable features. Be ready to mesmerize your audience’s interests for your business. ☞ Promote Business Directly: Mobile apps reinforce a lot of your business information relatively your products and services, your upcoming projects etc to your users by increasing your visibility. Examples are demographics and geographical locations. This will help to generator lot of PR in favor of your business to grab almost the entire market share. No matter what you sell, you can take a commanding role among your peers. The extraordinary factor coupled with the undeniably cool mobile app development, rapidly evolving technology will place your business on the forefront of your industry. ✓ User-friendly design – Whether you desire to create a professional design or having “wow” effect user interface design, our experts are on board with the skills required to create the exceptional mobile experience you are looking for. ✓ Cross-Platform Coverage – We deliver our app creativity solutions to gain a competitive edge across all the popular mobile platforms and mobile-enabled technologies to assure most optimal coverage of all target audience’s and to enable the apps to run perform interactively and smoothly for a range of devices. ✓ More Business Value – Once you have stepped down to our doorstep, our developers are ready to go the extra mile to make your app to stand out at first glance, reflect your brand identity, and provide experiences that get users hooked. We strive to develop an app that evolves along with your business and users, whatever challenge comes our way. ✓ Turn the promotional campaign interactive – We create apps for you to market your message to wide smartphone holic users in an influential manner. This is so easy with the help of apps-oriented users as you do not need to create a niche message to reach to a specific audience individually. ✓ Flexible Integration – To empower business processes in order to achieve it’s profit generation goals, we develop a mobile app that can easily be paired with other systems while leaving room for further integrations into its system, be it your internal system or a third-party service. Be it social media, restaurants, healthcare, industrial or education sector, our app developers are passionate and professional in crafting the integrated mobile application that suits best for your business ethics and carrying the potential to drive maximum revenue for your business. So, whatever be your requirement- for an iconic or one-of-a-kind mobile apps for any platforms? Pitch us your idea and we will walk you from there. We Not Just Build apps, We Craft User Engaging Mobile Experiences!